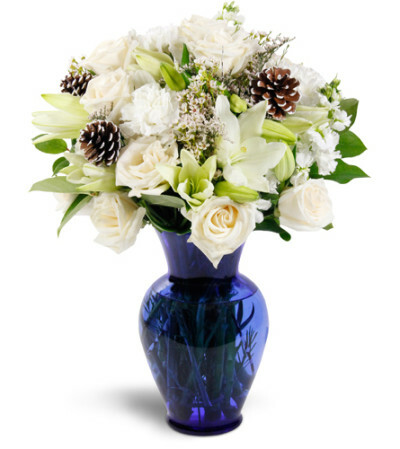 Wintry whites and elegant blues are the trademark of this stunning holiday bouquet. Perfect for any and all special winter occasions, from Hanukkah to Christmas to New Year’s! 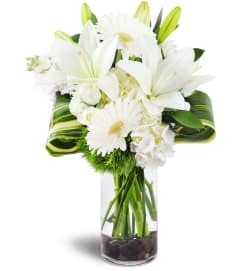 Creamy white roses, lilies, carnations, and more are accented with pinecones in a premium blue glass vase.